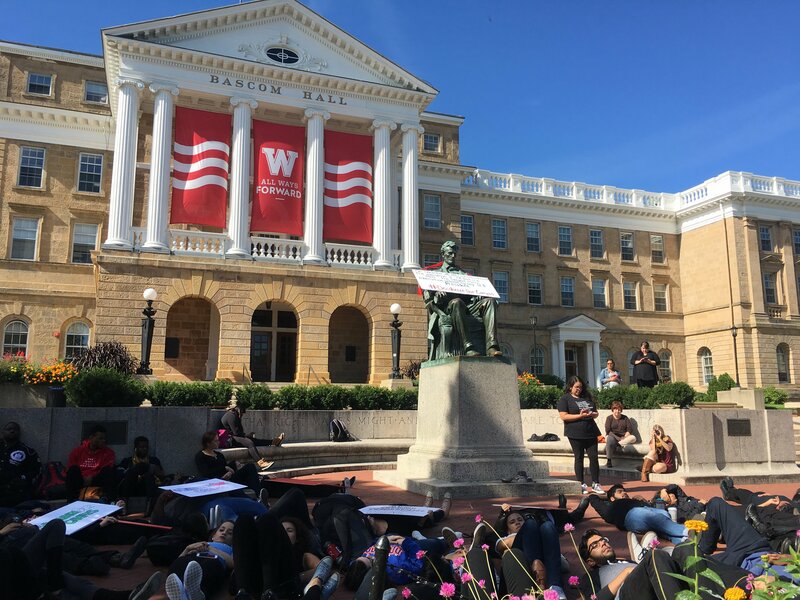 Kicking off its #DecolonizeOurCampus campaign, student organization Wunk Sheek held a die-in protest at the top of Bascom Hill to promote the rights of indigenous people and condemn Columbus Day Monday. Almost 60 members of the indigenous advocacy group and other University of Wisconsin students gathered around Abraham Lincoln’s statue to shed light on the oppression and marginalization of indigenous people in the state. One of the protest’s main aims was to enforce that Columbus Day should be renamed Indigenous People’s Day to raise awareness of Native American history. Emily Nelis, co-president of traditional affairs for Wunk Sheek, led the die-in and read out historic instances of oppression against the native community and facts about UW’s Native American student population. 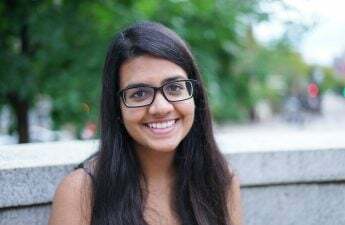 The protest is the beginning of Wunk Sheek’s “decolonize our campus” campaign, which looks to strengthen the Native American student voice on campus, Nelis said. Nelis said Native American youth have the lowest achievement score and graduation rate among UW students. Native American students also make up less than 0.73 percent of UW’s student population, meaning they are grossly underrepresented. Wunk Sheek created a list of demands regarding its cultural center and Native American students. 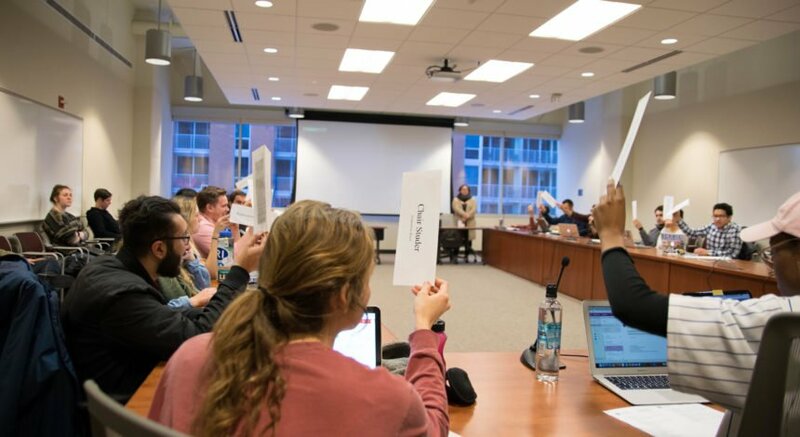 The list was recently given to UW administration, which will address it soon, Nelis said. “Just be on the lookout because we are done being silent,” Nelis said. A sign around Lincoln’s statue read “On December 26 1862, Lincoln ordered the execution of 38 Dakota men — the largest mass execution ordered by any U.S. president.” Students at the die-in wore all black to honor these men. Nelis also burned sage, which is one of four traditional Native American medicines and is used to purify and create positive vibes in their honor. UW student and protester Maryam Muhammad said the event made her understand the importance of minority groups coming together to uplift each other and show support. After the die-in, protesters proceeded to place signs all over Bascom Hill. 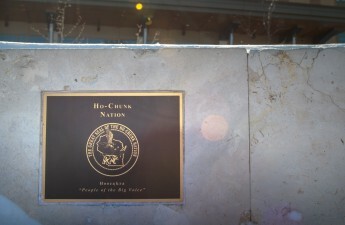 These signs pointed out that the land belongs to the Ho-Chunk Nation and is indigenous land. UW Blackout founder Kenneth Cole said he is “really excited” about Wunk Sheek’s campaign as it brings students from different backgrounds together to fight for each other’s presence on campus. 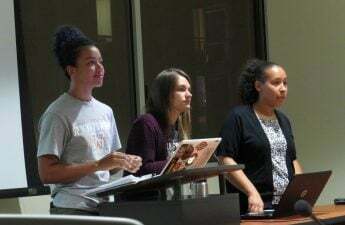 Wunk Sheek is part of the Student X Coalition, which looks to represent students who feel “x-ed out” or have a marginalized experience, Cole said. He said the campaign will be an eye opener for many and will help give a voice to all those who feel silenced in UW’s community. “The Native American community has showed us today that we all share a part of the same struggle and that fabric flows through all of us and allows us to come together and be connected in powerful moments like this,” Cole said.